In an article for Forest Hills Connection, Ann Kessler looks back at Marilyn’s week-long stay in the Washington suburb while husband Arthur Miller was on trial for contempt of Congress in May 1957. 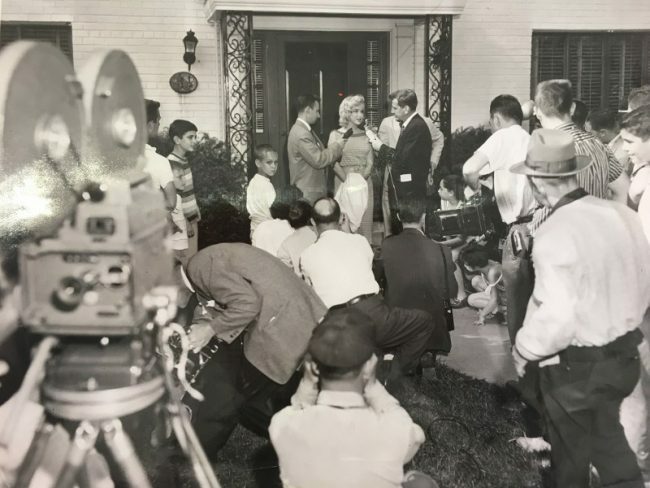 “Monroe wanted to support her husband by coming to DC, but didn’t want to stay at a hotel where she would be constantly mobbed by the press and fans. For that same reason she couldn’t actually attend any of the court sessions. Miller contacted his lawyer, Joseph L. Rauh, Jr., a widely respected civil rights attorney and co-founder of the Americans for Democratic Action, to ask his suggestions for housing in DC. Joe Rauh invited Miller and Marilyn to stay on the sofa bed in the den of his house at 3625 Appleton Street NW. 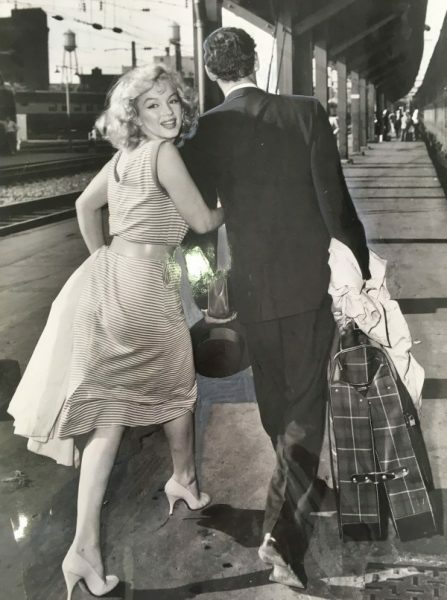 The next day Rauh’s son Carl, a junior at Wilson High School, drove to Union Station to pick up a woman ‘wearing a dark wig, a head scarf, and sunglasses.’ That was Marilyn Monroe. Monroe spent the next week at Rauh’s house with Olie Rauh, Joe’s wife. She bicycled around the neighborhood (wearing sunglasses and pedal pushers), sat at the Rauhs’ backyard pool, read books and followed the trial as closely as she could from afar. The neighbors had no idea that Monroe was still present, having assumed she had only briefly visited the Rauhs. In reality, Monroe and Miller had left the Rauh home and then returned for their extended stay.